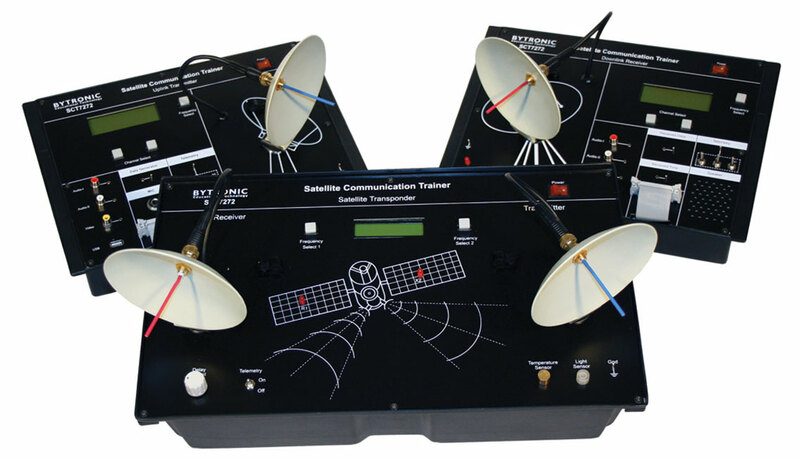 The Satellite Communication Trainer 7272 provides an in-depth study of a basic satellite communication system. It consists of an Uplink Transmitter, Satellite Link and Downlink Receiver, which can be conveniently placed in the laboratory. The satellite can be placed at an elevated position if required. The satellite transponder receives signals from an Uplink Transmitter and retransmits at different frequencies to a Downlink Receiver. The Uplink and Downlink frequencies are selectable and carry three signals – Video, Audio, Voice and Data simultaneously. 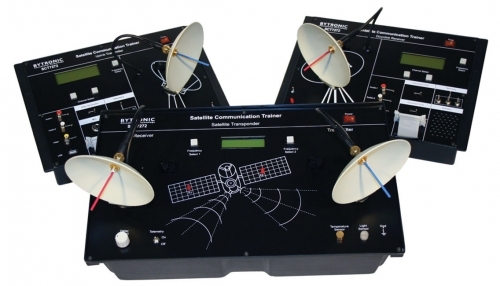 Any broadband signal, digital/analogue data or function generator waveforms can be communicated through the Satellite link.